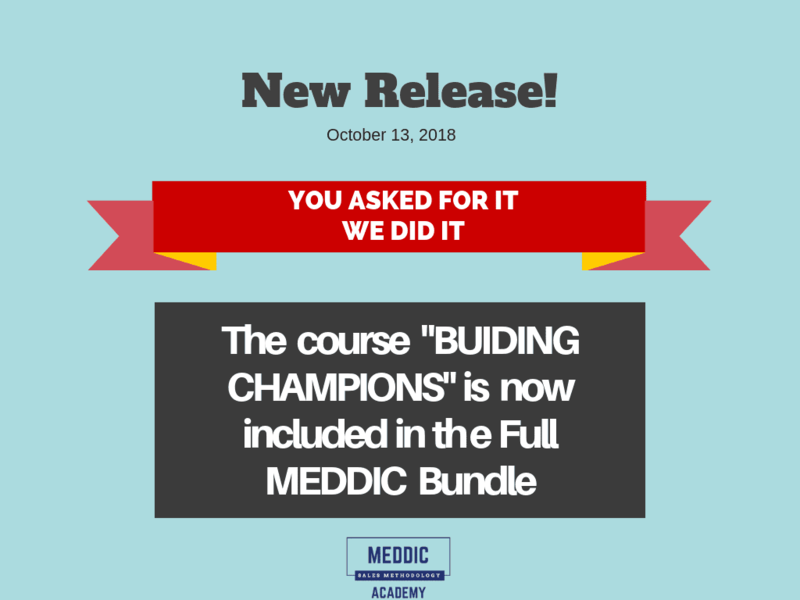 If you are an existing subscriber to the full Meddic Bundle Course, you can now enjoy the course “Building Champions” at no additional charge, since it’s now part of the bundle. Like our other courses, this course continues to be available for a standalone purchase as well. In other words you don’t need to be a subscriber to the full Meddic Bundle to enroll. Of course there is always more value in the bundle which remains our recommended package for all Enterprise Sales people. Go MEDDIC! Enjoy the bundle!